Funding for restoration efforts comes from numerous federal agencies, state and local governments, non-governmental organizations and private interests. The Chesapeake Bay is an incredibly complex system—and funding its restoration can seem as complicated as the ecosystem itself. Numerous federal agencies, state and local governments, non-governmental organizations and private interests financially support the restoration effort described in the commitments of the Chesapeake Bay Watershed Agreement. The Budget and Finance Workgroup supports the Chesapeake Bay Program in achieving the goals established in the Watershed Agreement by serving as a focal point for coordination, innovation and accurate reporting related to budgeting and program finance. Pollution in the Chesapeake Bay watershed comes from hundreds of wastewater treatment plants, thousands of farms and millions of people who reside and recreate in the watershed. A comprehensive restoration strategy such as the one pursued by the Chesapeake Bay Program may be the only effective way to address an expansive ecosystem that integrates developed areas, agriculture and natural resources as thoroughly as in the Chesapeake Bay watershed. Funding provided through the Chesapeake Bay Program is a key factor in leveraging funds from a variety of sources and facilitates the efforts of many partners. Since its formation in 1983, several written agreements have guided the Chesapeake Bay Program’s efforts to reduce pollution and restore the ecosystem. By setting collaborative, quantifiable goals, any stakeholder—from federal and state agencies to local watershed organizations—can do their part to achieve the outcome. As such, although we can measure progress toward achieving our collective goals, it can be difficult to quantify the extent of financial resources that support the entire Chesapeake Bay restoration effort. However, specific information is available for contributions at the level of federal and state agencies. Many federal and state agencies participate in the Chesapeake Bay Program partnership. Through the authority of the Chesapeake Bay Accountability and Recovery Act, the Office of Management and Budget (OMB) issues a Chesapeake Bay Restoration Spending Crosscut Report each year, which indicates state and federal partners’ investments in environmental restoration. A breakdown of this federal and state spending is available through ChesapeakeProgress. The Clean Water Act, Section 117, provides authority for the Chesapeake Bay Program and directs the EPA to maintain a Chesapeake Bay Program Office (CBPO) and to coordinate many of the activities of the program. The CBPO is located in Annapolis, Maryland, and is supported and staffed by many federal, state, academic and non-governmental partners. Through an annual appropriation from Congress, EPA supports scientific, analytical, communication, outreach and coordinating functions to make the Bay partnership work. Close to two-thirds of the EPA funding for the Chesapeake Bay Program is provided directly to state and local partners for watershed restoration, protection and monitoring. Chesapeake Bay Implementation Grants (CBIG) support the six states and D.C. work toward meeting the goals of the Chesapeake Bay Watershed Agreement, with particular emphasis on programs to reduce nutrient and sediment pollution. Chesapeake Bay Regulatory and Accountability Program (CBRAP) Grants help the jurisdictions implement and expand their regulatory, accountability, assessment, compliance and enforcement capabilities to reduce nitrogen, phosphorus and sediment loads to meet the water quality goals of the Watershed Agreement and the Chesapeake Bay Total Maximum Daily Load (TMDL). Monitoring grants support the six states and D.C.’s work to monitor and assess water quality, habitat conditions, nutrient and sediment pollution and more, as well as support data analysis and interpretation of trends. Local implementation funding is used by counties, municipalities, cities, towns, townships and local public authorities or districts to reduce nutrient and sediment loads through key sectors like land development and agriculture. Small Watershed Grants (SWG): These EPA grants, currently administered and leveraged by the National Fish and Wildlife Foundation (NFWF), are awarded to local governments and non-governmental organizations working to protect and improve local waters and habitats across the Bay watershed while building citizen-based resource stewardship. Innovative Nutrient and Sediment Reduction Grants (INSR): These larger EPA grants, currently administered and leveraged by NFWF, support innovative solutions to reduce or eliminate nutrient and sediment pollution to the Chesapeake Bay and its tributaries. 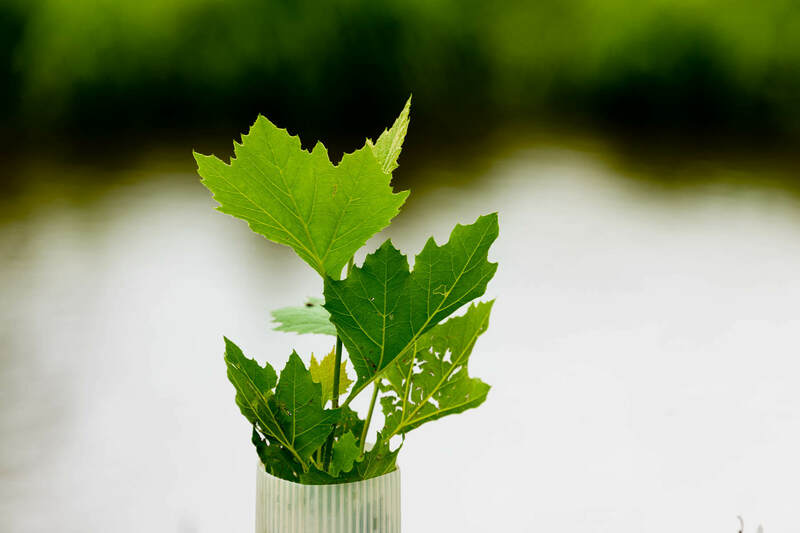 Technical Assistance and General Assistance Grants: These grants are awarded competitively to nonprofit organizations, state and local governments, academic institutions and others to implement the goals of the Chesapeake Bay Watershed Agreement. Additionally, a grant agreement with the Environmental Finance Center at the University of Maryland assists local communities in developing financing strategies to pay for water quality improvement. Office and Personnel: EPA funds support salary and benefits for CBPO staff members and the physical office space needed to support the vast network of scientists, researchers and other experts. Contracts and Inter-agency Agreements: Funding brings experts from other federal agencies, academic institutions and non-governmental organizations to the Bay Program office for projects ranging from agricultural conservation practices to wastewater treatment plant upgrades, ensuring that our restoration efforts incorporate expertise from throughout the watershed. Scientific Analysis and Decision-Support Tools: The scientific functions of the program include modeling, trends analysis, monitoring and analytical tool development, information technology, which are essential to making effective decisions about the restoration effort. Other federal agencies work closely together as part of the Chesapeake Bay Program to coordinate efforts and resources and interact with state partners. Funding amounts can be found via ChesapeakeProgress. Chesapeake Bay Program partners recognize the important role finance strategies play in the restoration effort. Throughout the Bay Program’s history, several written agreements—such as the Chesapeake Bay Watershed Agreement, signed in 2014—have guided our partners’ work to reduce pollution and restore the ecosystem. Signatories use diverse types of financing approaches they deem appropriate to meet these goals, such as Public-Private Partnerships (P3), state-mandated trust funds, state and local stormwater fees and mechanisms like water quality trading. Each partner is able to employ the approaches that are best suited to their distinct needs as they work to collaboratively reach the agreement’s objectives. For more information on the Chesapeake Bay Program budget, please contact James Edward, Deputy Director, at edward.james@epa.gov.